For more than 100 years, the YWCA of the Niagara Frontier has worked towards eliminating racism, empowering women, and promoting peace, justice, freedom, and dignity for all. We are the voice for every woman. The catalyst for change in the lives of those who need it most. Through our services in gender equality, education, crisis services, childcare, and more, the YWCA of the Niagara Frontier creates a strong support team giving women and their families the resources they need to lead the lives they deserve. While we are working on our new, updated website, please check below for important links and contact information. The YWCA of the Niagara Frontier is accepting applications for the YWCA of the Niagara Frontier/Munk/Human scholarship for Niagara and Erie County women returning to secondary education for the fall semester 2019. Deadline for applications April 17, 2019. Camp with a choice! 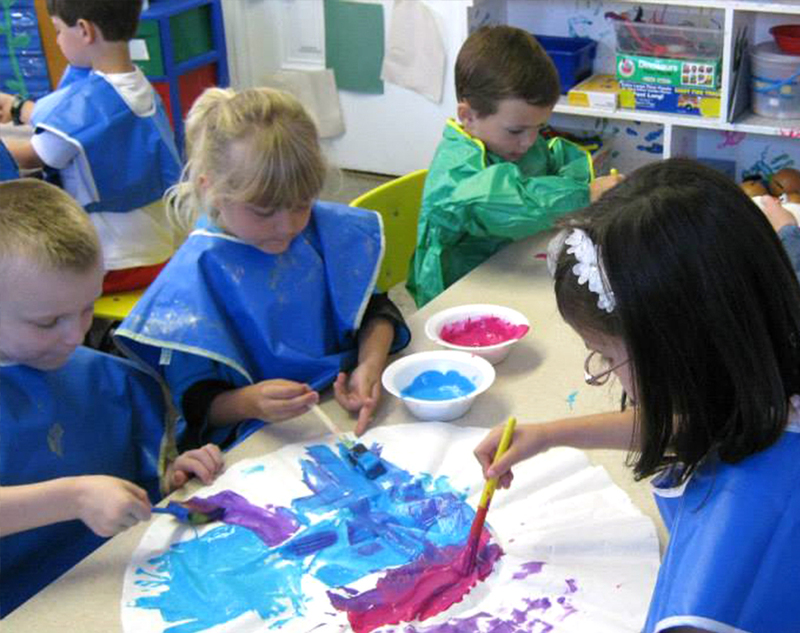 Children are given a variety of activities in which they can participate. Each camper chooses those activities in which they want to participate, and for how long. Programs vary daily. CALL 716.433.6714 FOR MORE INFORMATION. These programs strive to assist children in gaining a positive sense of self while engaging in activities that stimulate natural curiosity. Classes fill very quickly so register early. For more information on class times , call the John Pound Early Childhood Program Office at (716) 478-4751. As a first time school experience and with twelve children and three teachers in the classroom, Playroom Plus is able to offer the participants individualized or small group attention. The two year olds are encouraged in the basics of group socialization. They learn to verbalize their needs and listen to others. Sharing, cooperation and independence are all incorporated into classroom activities that promote exploration and discovery. Potty training is not required but is encouraged. Your child must be two years old on or before December 1st of the year your child will attend this program. This program offers a hand’s on approach to learning through real-life experiences. Children investigate various topics while incorporating pre-writing, pre-reading, math and science activities. While expanding their social skills, children learn to negotiate with friends and express themselves verbally. As each child becomes more proficient in accomplishing age-appropriate readiness skills, he/she gains a sense of independence. Your child must be no younger than three years old on or before December 1st of the year your child will attend this program. Visit or contact the YWCA of the Niagara Frontier at one of our three locations. ©2019 YWCA of the Niagara Frontier. All rights reserved.